Dubai: Generating high workplace productivity while helping Muslim workers observe the tenets of Ramadan can pose challenges for companies, experts say. Reduced daily work hours for Muslim workers who are fasting can impact on output for business environments vying in a competitive global market place. In the UAE, chapter four of the federal Labour Law, article No 65, stipulates that daily work hours will be reduced from eight hours to six hours during Ramadan, when adherents abstain from food and drink from sunrise to sunset. "For employers in particular, religious observances such as Ramadan raise two competing interests: business continuity and performance on the one hand and cultural sensitivities on the other," Mandeep Kalsi, of the UAE business law firm Hadef and Partners, said. "Forward planning will be key to ensure customer demand and business performance is maintained during the month," Kalsi said in a new report for Ramadan. "For many employers, a primary concern will be the impact of the reduced working hours rule on business performance. Adherence to the Labour Law is, of course, recommended but employers can still — and often do — adopt a pragmatic stance." The report states that there are unavoidable corporate slowdowns during the fasting month. "Business throughout the UAE inevitably slows down during Ramadan. Clients and customers who are based overseas, such as in Europe, are unlikely to appreciate this and it is therefore advisable to inform them of this sufficiently in advance of Ramadan." That said, companies must also respect cultural sensitivities surrounding the month. "Out of respect for Islam and the traditions of the UAE, employers should also endeavour to ensure that life in the workplace moves at a gentler pace during Ramadan." But the notion that Ramadan fasting and reduced work hours means a month-long holiday filled with idleness for Muslims is misplaced, says a top official of a company working to help Arabs boost productivity. Mohammad Faris, CEO and founder of Productive Muslim, said that history teaches us Ramadan was a time of great achievement and industry. "If we look into history, we learn that Ramadan was a productive time for the Ummah. It is in this noble month that many great events occurred in the history of Islam like the victory of faith over disbelief in the Battle of Badr, the conquest of Makkah, Battle of ‘Ayn Jaaloot and other decisive battles," Faris told Gulf News from his Jeddah offices in Saudi Arabia. "This indicates that there are many lessons of success to draw on from this month in the history of Islamic civilisation. In a similar manner, Ramadan is a time where Muslims must fight their own inner battles to gain victory of becoming better Muslims and more productive in order to have success in this life and the next." Those who are observing Ramadan must work to dispel stereotypes through personal goals of becoming more productive, he said. "Unfortunately, Ramadan today is being accused of being an ‘unproductive' month by many Muslim — and non-Muslim — employers working in the Muslim world. "This misrepresentation of Ramadan is highlighted by the actions of some Muslims who unfortunately use Ramadan as an excuse to be lazy, not get work done, and follow unproductive habits such as staying up all night at cafes and restaurants, thus feeling sleepy during working hours. "Moreover, some governments and businesses in the Muslim world in their attempt to cater for the needs of the fasting Muslims, reduce the business hours which further emphasises that Ramadan is a ‘time-off' period or ‘reduced workload' period, hence the low productivity output from employees in general." "Personally, I'm against reducing business hours and find no merit in such measures, since we see many Muslims who live in non-Muslim countries and who work the normal 9-5 shift and are still productive. "If anything, I personally believe that reducing business hours actually encourages unproductivity." Dubai: Businesses can help foster a spirit of productivity in the workplace during Ramadan to help workers adhering to a no food-and-drink fasting regimen each day of the month. And workers can take their own initiatives to usher in a healthier Ramadan that will make them stronger contributors in the workplace. Mohammad Faris, CEO and founder of Productive Muslim, said he has helped businesses organise training workshops that teach everything from time management to personal productivity to give workers the edge. "This is very important, as there are many sincere employees who want to work hard and be productive during Ramadan, but do not have the techniques or skills to do so consistently," Faris said. "Businesses could arrange workshops with Muslim productivity experts to help their employees or they can encourage their employees to sign up to online courses that specialise in this sort of training." Businesses must also adopt a co-operative approach with workers to ensure that deadlines are met and production does not slip. "Second, businesses need to encourage a resilient mindset among their fasting employees, for example, a mindset that whether it's Ramadan or not Ramadan, work has to get done and employees need to find a way to keep up with the work pace," he said. "There should be zero tolerance to people who use Ramadan as an excuse for being lazy or unproductive, and signs of unproductivity or people using Ramadan as an excuse for being unproductive should be stamped out or rebuked publicly." 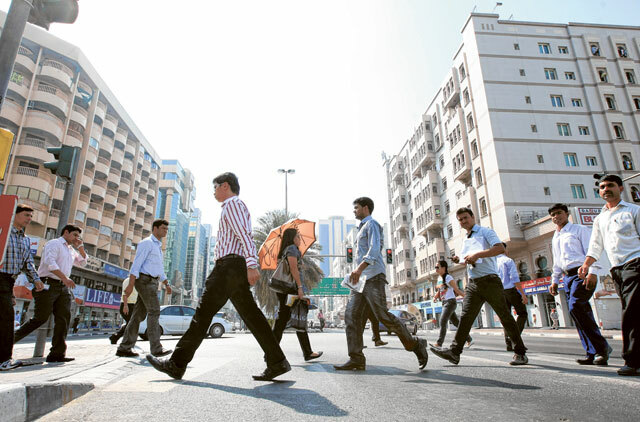 Health officials in the UAE are encouraging workers to take special care of themselves to help combat some of the taxing physical side effects of fasting such as headaches, dehydration and weight gain and insomnia during the hot weather in this Ramadan. 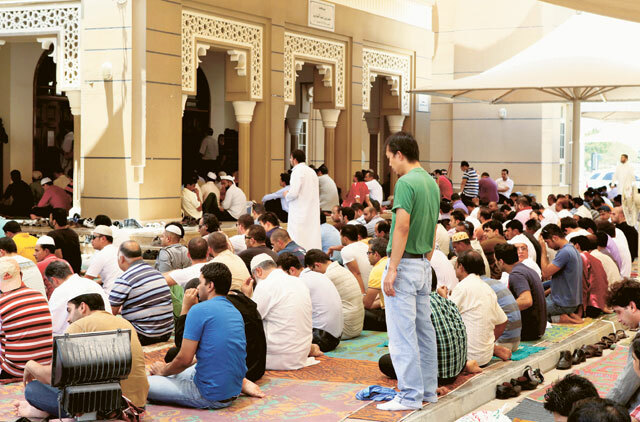 With Ramadan falling in mid-summer this year, days of sunlight are longer, testing the stamina of Muslims who must wait until sunset's iftar to end the fast. "Ending the fast slowly with light foods such as soup, dates, water and milk and then later eating a balanced meal with moderate portions and plenty of vegetables in the evening followed by a simple morning meal of water, whole grain bread and tea/coffee before beginning the fast will help ensure that most people will eat healthily and enjoy all the benefits of Ramadan," Dr Regina Will, a gastroenterologist and specialist in nutritional medicine at the American Hospital Dubai, said. "Of course, healthy fasting Muslims should moderate their intake of fatty foods and sweets after breaking the fast, but a range of balanced foods is fine. The key is to moderate the amount of food consumed after fasting and maintaining good hydration by consuming enough water, two to three litres per day," Will said. Another critical element to ensuring top physical condition during Ramadan is getting enough sleep, said another health expert in Dubai. "Some people sleep through the whole day and then stay awake at night, which is contrary to the meaning of fasting," said Dr Amro Al-Astal, from the Sleep Lab at the American Hospital Dubai. "Because of the long fasting hours and the Taraweeh prayers, which start every night after Isha prayers, we advise fasting Muslims to try to get their total sleep requirement in two sessions. "The first one after Taraweeh [around 11pm] up to one hour prior to Suhour time [around 3.30am], then no more than one to 1.5 hours of sleep after Suhoor and morning prayers. "In the afternoon, another one to 1.5 hours of sleep will give a second wind for the upcoming night. It is important that suhour meals should not contain too much fat as this might disturb sleep, and the stomach should not be full before a major sleep period." Have sincere intentions and work hard for an ultimate productive Ramadan. Plan each day of Ramadan the night before. Choose three important tasks you want to achieve the next day and record them in your diary. Never EVER miss Suhour, wake up at least an hour before Fajr and have a filling, balanced meal. Start working on your most important tasks right after Fajr and get at least one or two done. Try to take an afternoon nap, not more than 20 minutes, either just before or after Dhuhur. Plan your Ramadan days (and life) around Salah times, not the other way round. Block at least one hour for reciting the Quran each day. End your fast with dates and milk or water, go to Maghreb prayers, then come back for a light meal. Give lots of ‘physical sadaqah'; get involved in organising community iftars, charity drives, helping orphans etc. Earn rewards working for others. Don't miss an opportunity for Dawah. When someone asks you why you're not eating, give them a beautiful explanation of Ramadan and Islam.